March | 2012 | Bobcats Blog! Many parents are asking about the apps that we are using here in school. While there is not yet a huge list, here are a few that people really seem to enjoy. Stack the States is a great game for kids at the primary and elementary level (K-4). While playing students learn about United States geography. The engaging format asks kids about names of states, capitals, abbreviations, and interesting facts about states. The questions are broken up by different games and reward systems that the kids really enjoy. For more information, check out this review. This is a great application that has a ton of awesome content! 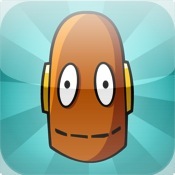 Through this application kids can check out a number of free BrainPOP videos every day. With a subscription, families can access the entire BrainPOP library (thousands of videos). The name of the app really captures with one from Pearson. 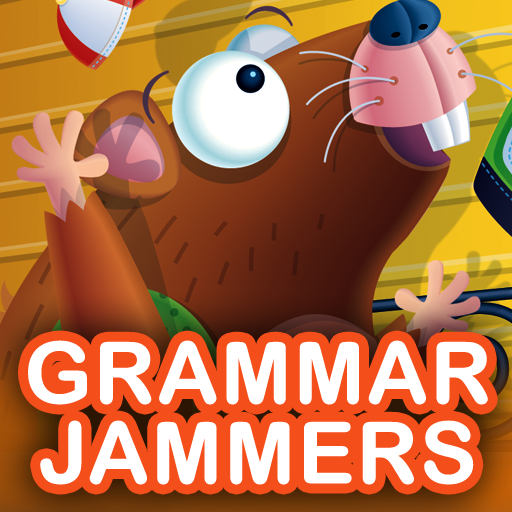 This app presents parts of speech and other grammatical concepts using catch tunes. Within the songs kids are provided with examples of the grammatical convention and each is followed by a short quiz practicing the skill. Show Me is a basic multimedia tool for students. 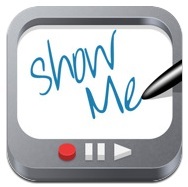 Show Me allows kids to draw pictures, insert and modify images, and record audio over their drawings/images. The power of this tool is that it is simple and provides a creative avenue for kids to show what they know. This week we were joined by Memorial School Principal, Matt Joseph, and two 4th grade students Victoria and Camilla. 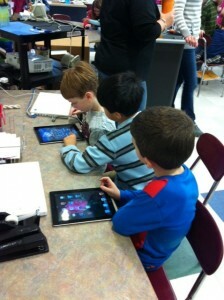 Mr. Joseph, Victoria, and Camilla provided us with a hands on lesson in developing pod-casts using iMovie and YouTube. Our teachers had a great time learning about these tools while Mr. Joseph and his students rehearsed for their presentation at this summer’s International Society for Technology in Education annual conference. We learned so much and saw how easy it was to create pod-casts at Ben-Hem. Using what we learned, we got started on our own daily pod-casts this morning. Check out the first one! 3D and K3 get together to learn about iPads! This week 3D and K# got together for a buddy meeting. This time things were a bit different than a normal buddy visit because our 3rd graders were the teachers! Over the past few weeks students in 3D, along with the other third grade classes, have gotten familiar with the iPad and have been using it to take weekly reading assessments! The excitement about using iPads for teaching and learning is growing and the kids in K3 wanted to get in on all of the possibilities. Mrs. Dahlheimer and Mrs. Marzullo coordinated a lesson in which the third graders would help their kindergarten buddies get familiar with the iPads and applications. Through the lesson, 3rd graders taught kindergartners basic orientation to the devices (holding it, turning it on, using the home button, volume controls, and opening/closing apps. From there they explored different learning apps on the devices and they had a great time doing so. Check out this quick video of their work together!